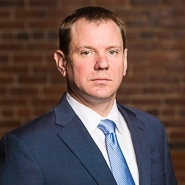 Goulston & Storrs, a firm with a track record of innovation and foresight, is pleased to announce that Nathaniel D. Razza has joined the firm as a Director of Tax Accounting in Boston. Continuing its trend of hiring CPA’s, which is unique within law firms, Nate is a Certified Public Accountant with over 18 years of experience, including Big Four public accounting experience. With the potential of significant tax reform legislation this year, Goulston & Storrs is meeting those challenges head on, differentiating itself and continuing to develop innovative strategies to meet client needs. Nate specializes in transactional tax consulting and structuring services for various types of businesses, including real estate investment and development companies. His practice experience includes tax planning for real estate companies, MLP's, renewable energy companies, private equity funds, and international investment funds. He is also highly experienced with partnership tax accounting and transaction modeling in connection with mergers and acquisitions. Prior to joining Goulston & Storrs, Nate was a tax partner and co-leader of the real estate practice with DiCicco Gulman & Co. He spent a great deal of his career at Big Four firms, including a period in the national tax practice at Ernst & Young, as well as KPMG. Nate is a faculty member at Boston University Center for Professional Education where he leads courses in real estate taxation, finance and accounting. He is also a member of the American Institute of Certified Public Accountants and the Massachusetts Society of Certified Public Accountants. Nate is a graduate of Tulane University with a Master in Accounting and Bachelor of Science in Management.